An unusual, but deliciously flavoured muffin; packed with fresh nectarine and amaretti biscuits, with a generous grown up twist of Disaronno, these muffins sure do make a tasty treat! Ok, so I’ll admit by saying these muffins were much, much, much more delicious that they look! Hindsight is a wonderful thing, but I should have considered leaving some of the delicious fresh nectarine and amaretti biscuits just for the topping… I just got a bit over-keen as it all smelt so good, and before I knew it, I’d run out and it was all in the muffin mix…. you live and learn – and, remember, never judge a book by it’s cover! So, personal complaint about the look of the muffins being over, lets get on to the good stuff. These muffins were delicious. I adapted a muffin that was suggested for a not-so-wholesome breakfast, and turned it into a good old fashioned tea time treat. I kept a lot of the goodness in there, namely, that they’re relatively low in sugar (for a muffin – there’s a still a lot of sugar in these!) as they get a lot of sweetness from the fresh nectarine, and use yoghurt in the batter, adding a good dose of protein. 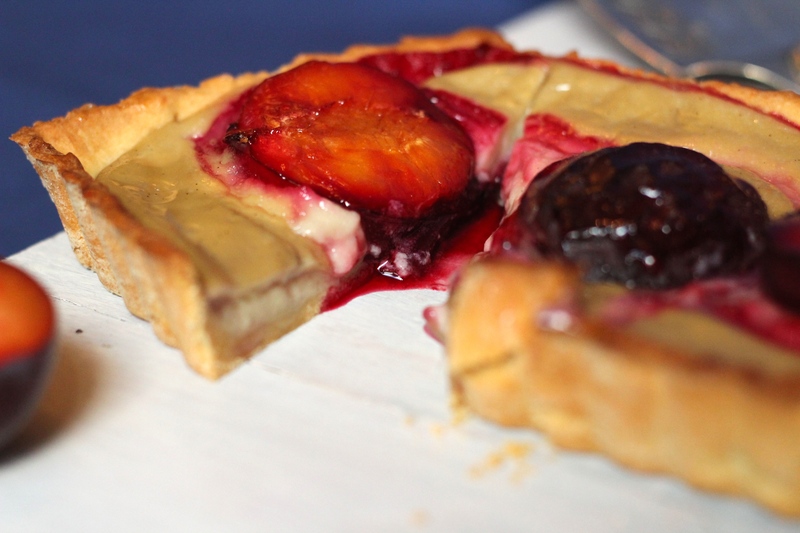 Then, what better pairing than fresh fruit and almond? I struggle to think of a fruit I wouldn’t want to add almonds to! Nectarines, peaches, plums and berries are, however, some of my favourite fruits to combine with almonds, and the combination in these muffins is perfect. To ramp up the almond flavour, I’ve used almond flavoured non dairy yoghurt, amaretti biscuits (they also add a delightful, sweet crunch to the soft and tender crumb of the muffin) and of course a healthy dose of Disaronno liqueur. Light, crumbly, fruit scones – packed full of sultanas, these scones only need a light spread of jam and a teaspoon of your favourite jam to achieve perfection. This reliable Delia recipe has been a family favourite for many years and never fails to delight. 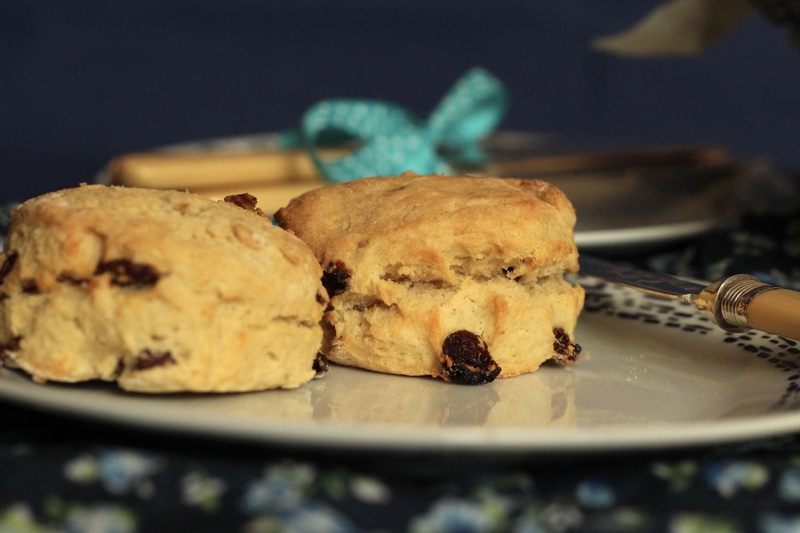 So, I’m going to put it out there – my favourite time of the day to eat a scone is for breakfast. Now, I know what you’re all thinking. That is more than a little bit strange! 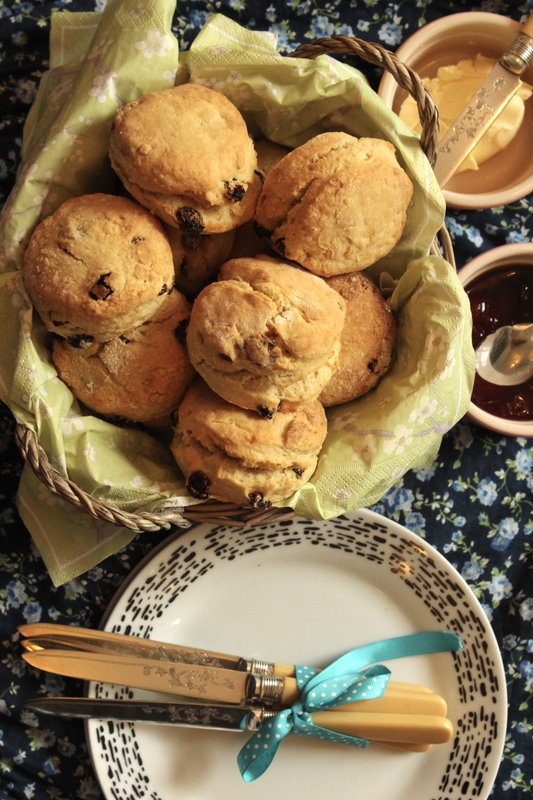 In Britain, scones are a traditional afternoon tea treat. However, many moons ago my mother, who comes from Belgium, thought she would try and learn to make scones (she’s an absolute expert, and I have to admit hers always come out better than mine!). Her trusty Delia book did not give any indication of when these should be eaten, and so she made them for breakfast. And although it may not be conventional, it’s no more odd than eating a croissant and jam before 9am! 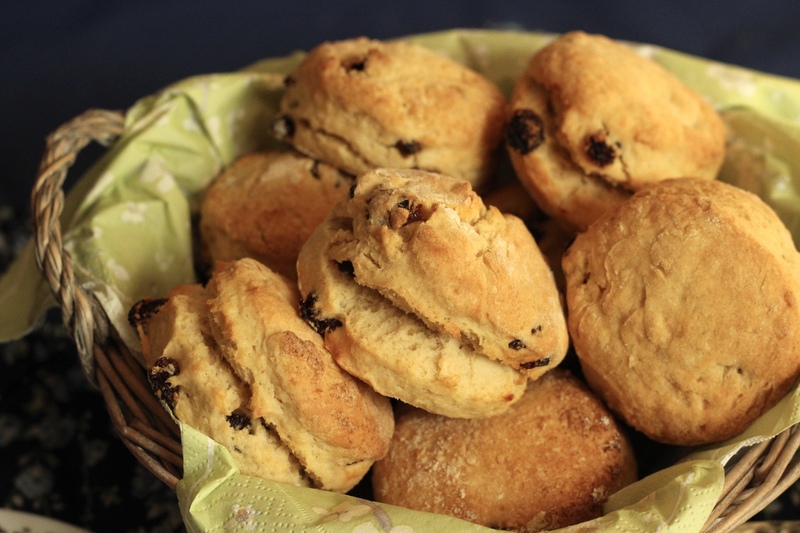 You can of course still eat these at tea time – I tend to make mine as ‘mini’ scones, so you get to feel naughty and eat more than one – but I really consider them an any time of day treat. And as these scones have a generous amount of sultanas in them, you can kid yourself into thinking they count as one of your 5 a day! Now there may be many of you who are wondering what is a scone? And is it pronounced ‘skon’ or ‘scone’ (like cone with an ‘s’ at the front). Although I can’t answer the debate on pronunciation, I can explain what a scone is! Technically, it is a type of dough enriched with eggs and butter, where you start as if you were making pastry by rubbing the butter into the flour and sugar to make crumbs. 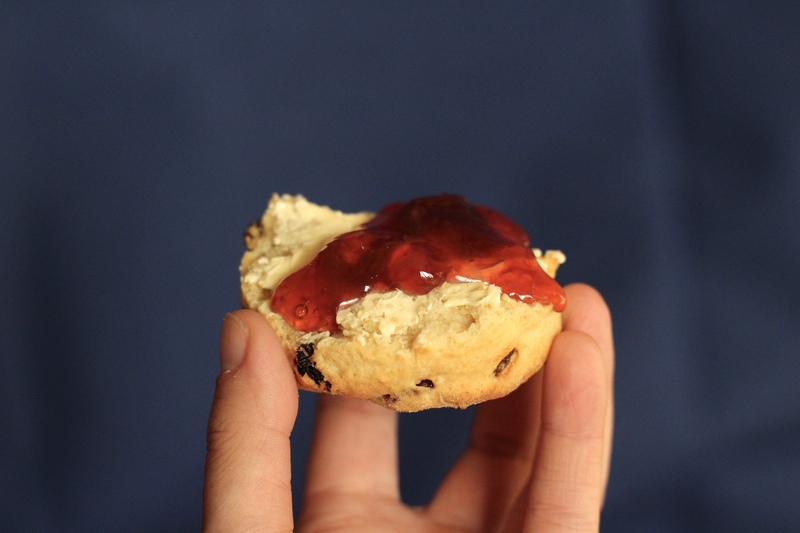 The effect creates a crumbly half bread, half pastry product – crumbly and light, a good scone should melt away in your mouth, and provide a buttery texture and taste which is perfect for lashings of jam on top. Traditionally scones are served with jam and clotted cream – however our dairy free version comes with a nice bit of dairy free butter. 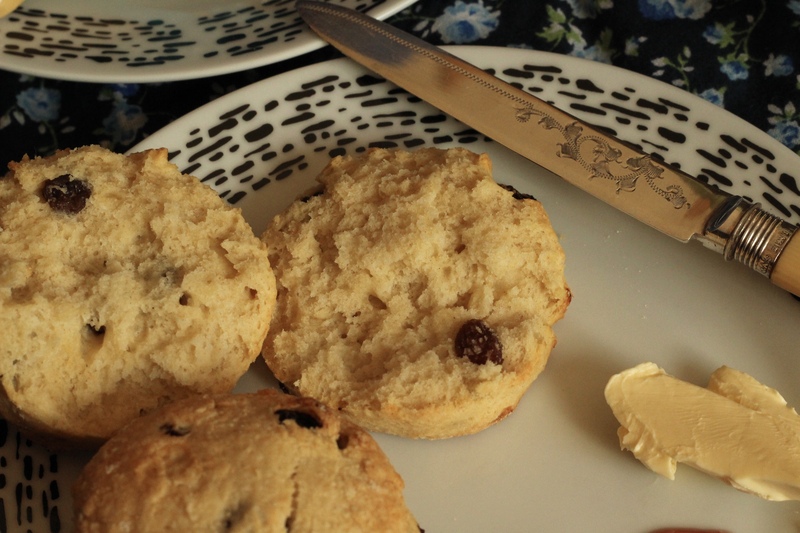 Unfortunately I think clotted cream is just one of life’s pleasures we may have to go without, but there are other upsides – no cream means you can definitely have at least 1 more scone! An elegant and deceptively easy dessert. 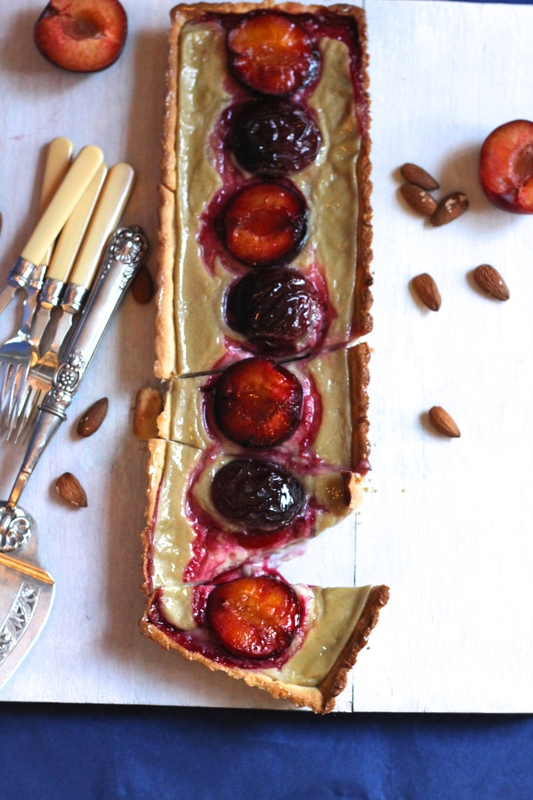 An almond pastry case with juicy plum jewels set in a delicious, smooth and creamy almond milk custard. Delicious on it’s own, or served with ice cream or stewed fruits. I really do love and believe in eating seasonally, and this dessert is no exception. At this time of year, when the berry season has drawn to a close and the stoned fruits are beginning to end, I don’t think there is anything better than baked fruits. Not only does it bring out their sweetness and flavour, it smells as it bakes festive and fills you with warmth. What a perfect way to welcome to cooler seasons that are approaching! 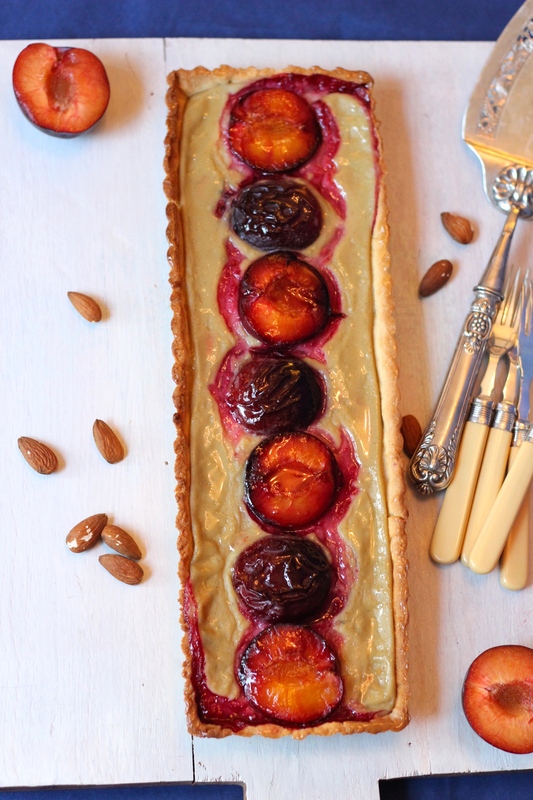 Plums and almonds are a classic combination; the sweet, nutty almonds provide a delicate base flavour to the dessert, so when you get a pop of bright, tart plum in your mouth nothing distracts you from the flavour. That said – the two flavours really work together. 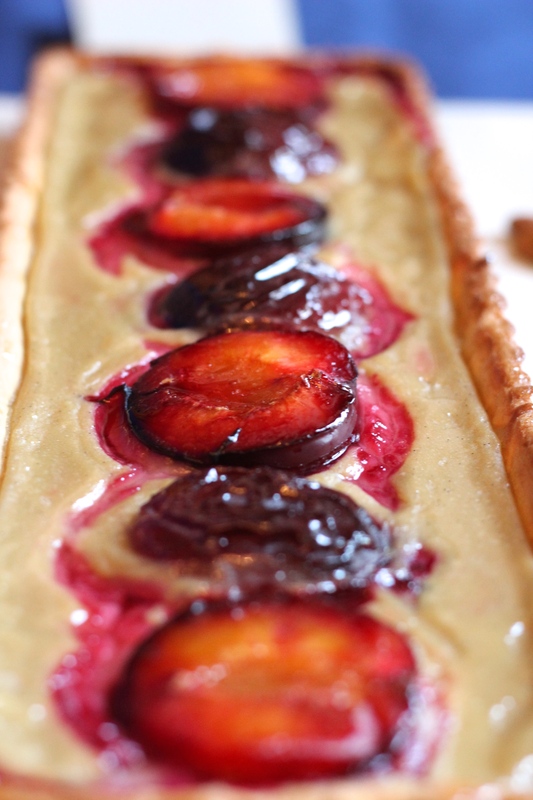 The nutty flavour gives depth to the plums, something particularly desirable when using up the last of the season’s fruits. I’m using one of my favourite pastry recipes for this – it originally comes from my Apple & Blueberry Frangipane Tart – but I chose it because it turns out light and short every time. It is also a very forgiving pastry. What I mean by that is if yours crumbles to pieces as you are trying to line the tin (and see my tips and tricks on lining a tin with pastry here!) you really don’t need to worry. Just using your fingers and the offcuts of pastry, you can make your pastry look almost perfect, and it really doesn’t affect the results. Now, that’s my kind of baking! 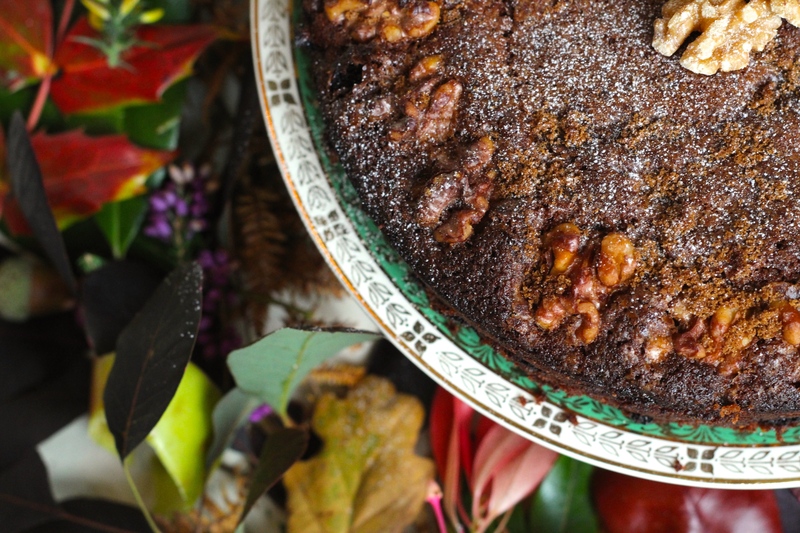 The perfect tea-time cake; soft, sponge cake dotted with walnuts and sultanas, with a delicious layer of cinnamon apples running through the middle and topped off with crunchy caramelised sugar. Delightful cold for afternoon tea or warm for an autumnal dessert. I just can’t explain how much I love this cake. I think a lot of it is to do with autumn being my favourite season (just what is there not to love about cold, crisp, sunny mornings and red leaves?!) 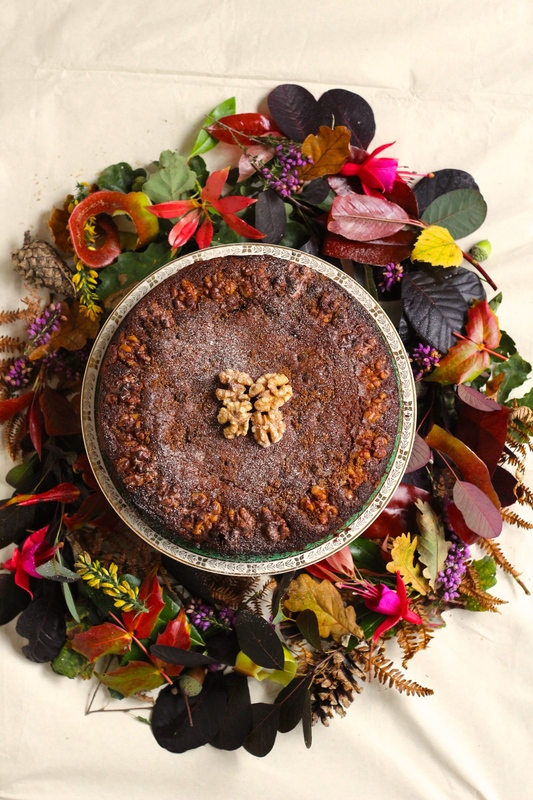 and this cake feels extremely seasonal; even though the ingredients are around all year round in the UK, the flavours really do taste like autumn on a plate. Sweet but tart apple, fragrant and warming cinnamon, with walnuts scattered throughout it fills your house with wonderful aromas as it bakes – it instantly puts me in the mood for warm, cosy jumpers and wooly socks! This cake is from Mary Berry’s Baking Bible, and has only been adapted to make it dairy free. 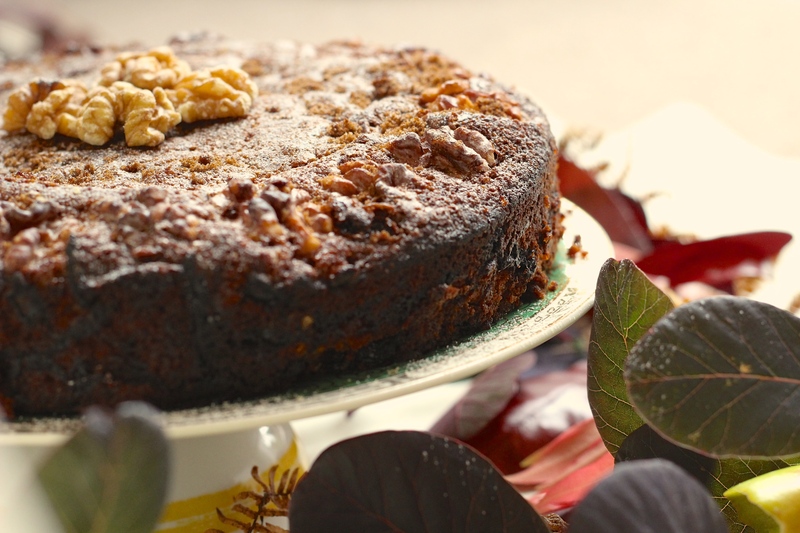 It is a delicious, dark sponge with chopped walnuts and sultanas throughout, with the cinnamon apples baked in a layer in the middle of the sponge. 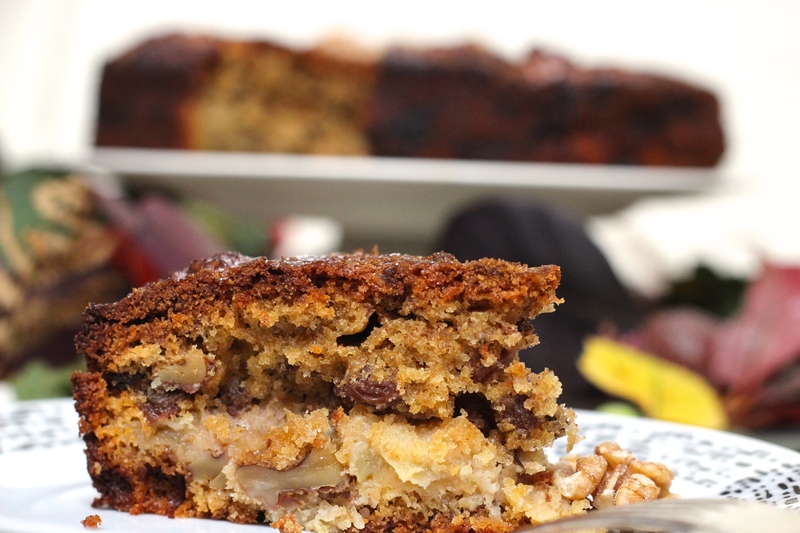 The apples keep the cake really moist which is a welcome contrast to crunch from the walnuts. 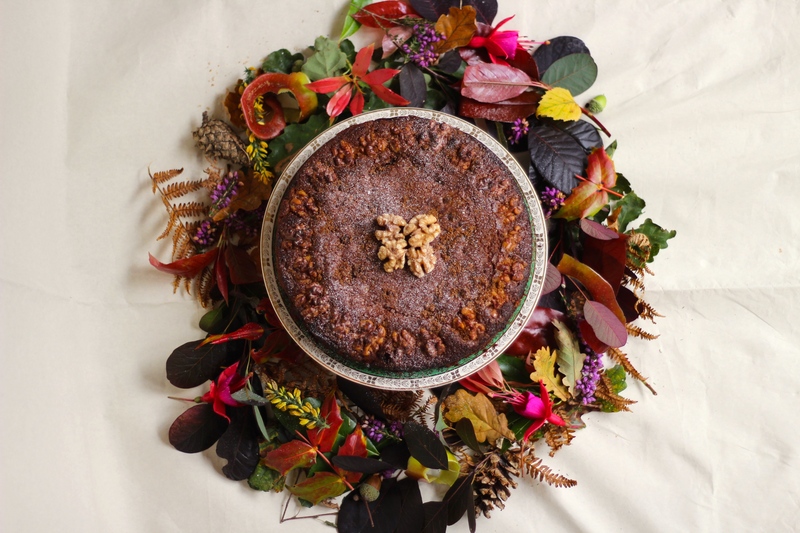 The cinnamon really brings all the flavours together in an autumnal mishmash of goodness! The cake also uses light muscavado sugar rather than white caster sugar, which lends a very caramel-like flavour to the sponge. Again, it really adds depth of the other warming flavours in the cake, and goes really well with the tart apple. There is also more brown sugar and walnuts on top – which when baked, does caramelise and it gives a delicious, sugary, crunchy topping. Also means this cake is really quick to prepare – no icing needed! This might be my favourite set of photos… Perhaps I’m swayed by my love of the beautiful autumnal colours, or the fact that it was so fun to go hunting in the New Forest for the supplies! Either way, this cake is wonderful warm or cold served as a tea time treat – or, still warm, served with a spoonful of ice cream for a delicious, warming dessert. Delicious Raspberry Curd; a berry take on traditional lemon curd which has just as much flavour and will eternally remind me of summer. Perfect for cakes and desserts, or just on its own straight from the jar. 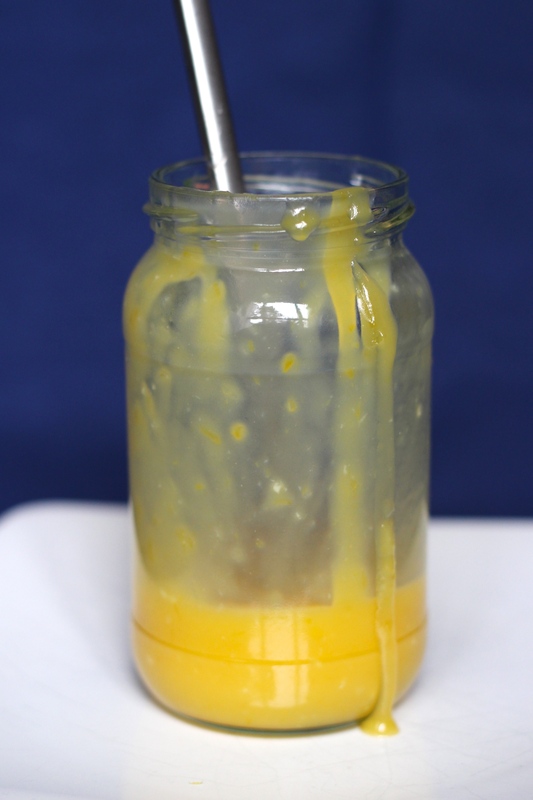 In a previous post about Lemon Curd, I explained how ‘curd’ was this mysterious being… so tasty but I thought far too hard to actually make yourself. Well, once I had made Lemon Curd a few times, mostly successfully (once it ended up like scrambled eggs… that was a disaster! ), my confidence grew and I started to think about what other kinds of curds could be made – and it seems the options are endless! Of course with my love of raspberries, Raspberry Curd was going to be the first one I tried, and it’s one I go back to making every summer. 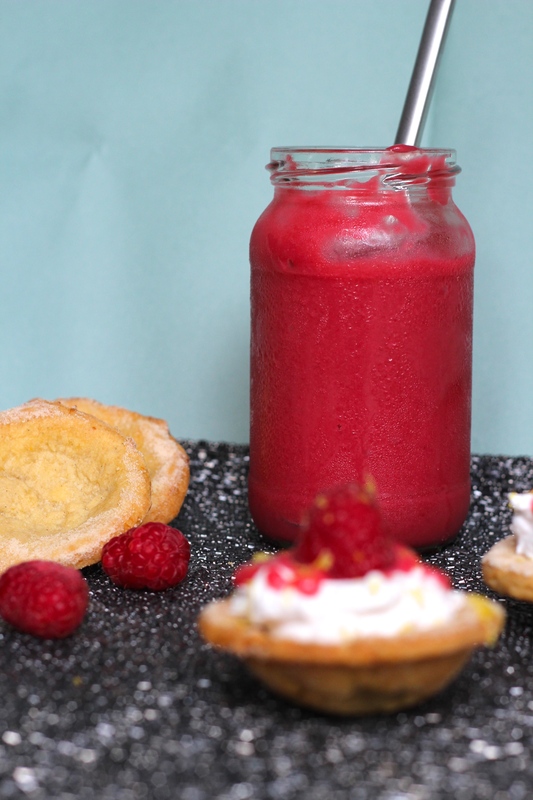 And what makes making Raspberry Curd even better than Lemon Curd? 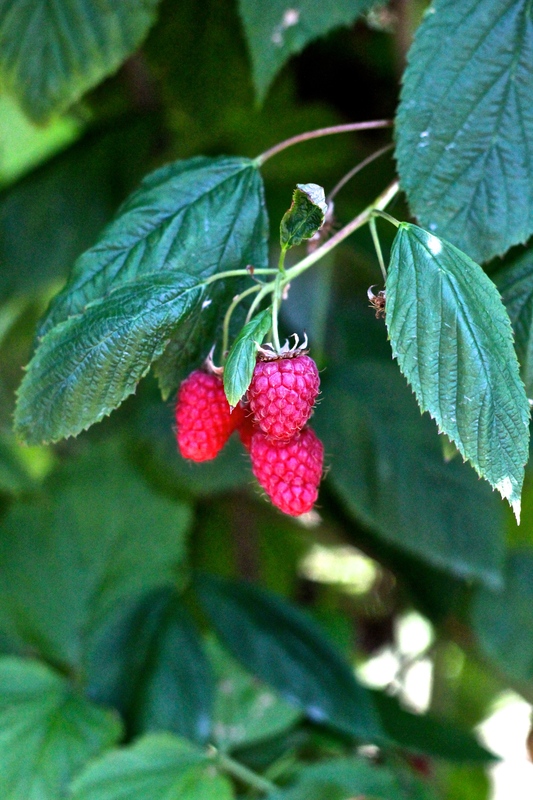 Raspberry picking! I often double this recipe which then requires a lot of raspberries, so I use this as an excuse to go to a pick your own farm and pick a huge amount of fruit. I still remember going strawberry picking with my family when I was little, and I think it will forever be one of those summer activities that brings out the child in me… As I obviously sneakily ate a few as I went round! 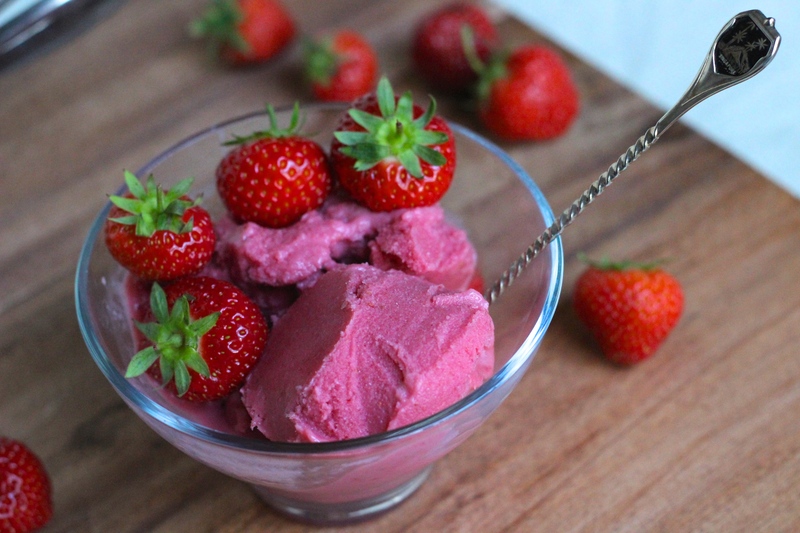 Raspberry Curd can be used just like Lemon Curd; it’s great as a tart or cake filling, spooned over ice cream, turned into a delicious buttercream, or just eaten straight from the jar. You can use them a filling in my Raspberry Meringue Cupcakes, and I have a few more recipes coming over the next few weeks which feature this delicious Raspberry Curd. 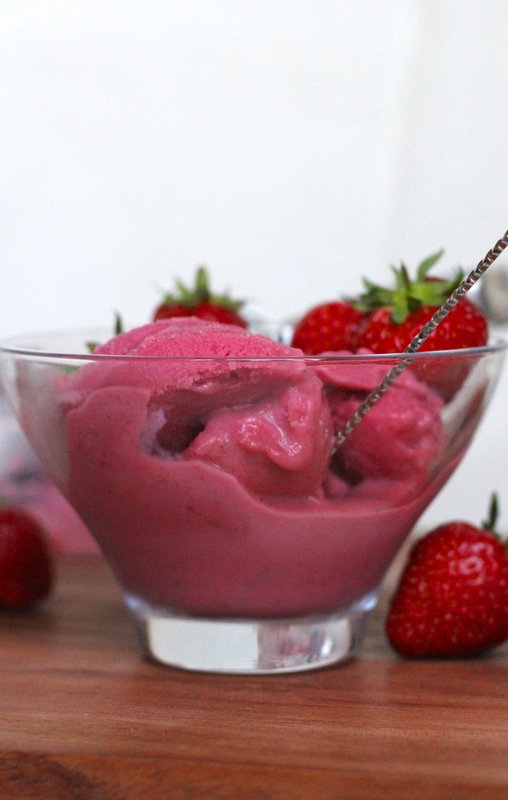 Smooth, gelato-like Strawberry Frozen Yoghurt. An ideal dessert which can be thrown together in minutes, with only four ingredients! One thing I really miss being dairy free is a wide choice of ice creams. Wide choice, reasonably priced and readily available ice creams! Although there are some excellent dairy free ice cream alternatives available, they tend to be fairly expensive and not available everywhere. And sometimes vanilla ice cream just doesn’t cut it! However, I found a great recipe in Jamie Oliver’s 30 Minute Meals cook book, where he makes a sort of instant ice cream using frozen blueberries, yoghurt and honey – and this is the inspiration for this recipe. 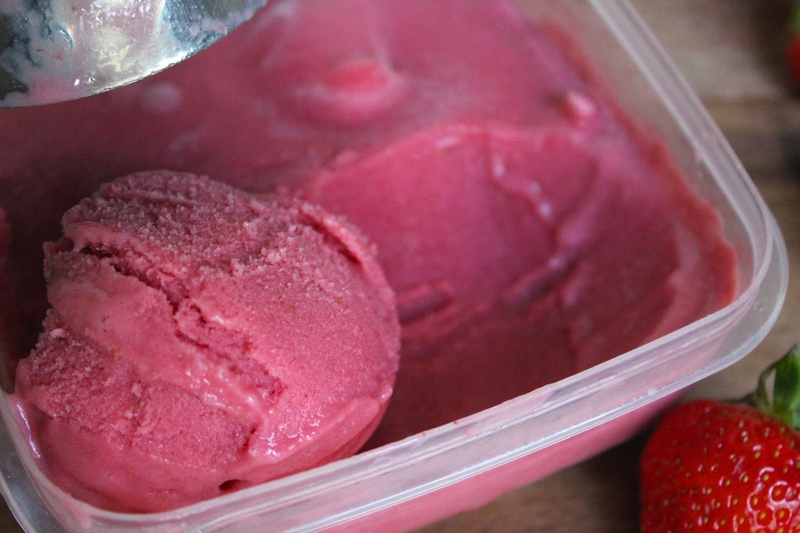 A very simple frozen dessert using readily available ingredients. I’ve used strawberries as they are in season at the moment, and if you, like us, buy them when they’re on offer, you might occasionally find yourself with a few too many! 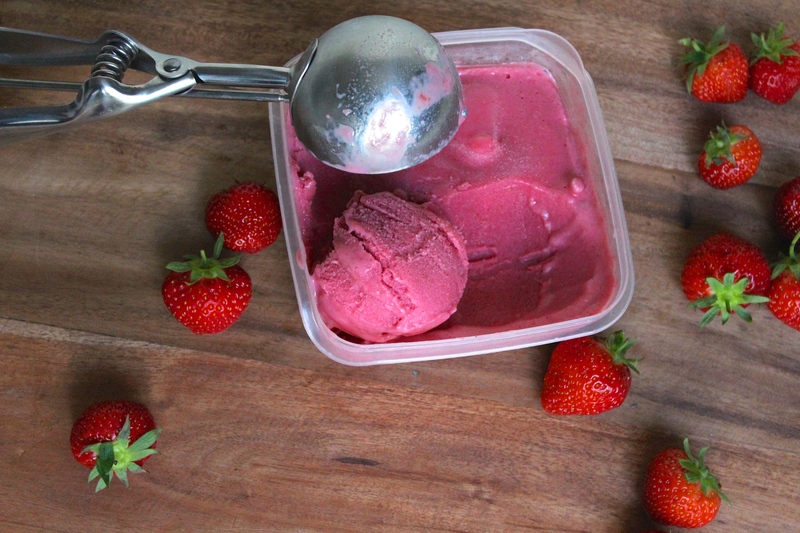 The best thing about this recipe is that it is actually best when the strawberries are getting to almost past their best – this is when they are sweetest and have the most intense strawberry flavour. So if you ever find yourself with some strawberries that are turning, and you’re not going to eat them right away – freeze them! Although freezing berries can often ruin their texture, it is a great trick for keeping seasonal fruit for recipes where the texture is not important, and this recipe is a perfect example. This recipe is seriously quick – I had to laugh writing the recipe realising there are only 3 steps. And one of them is serve and eat! 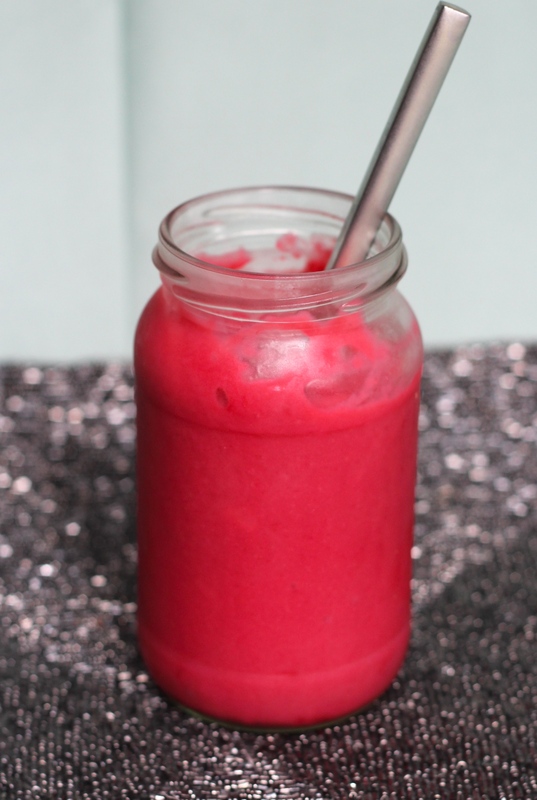 The only key thing you need is a good blender as it does take some serious power to whizz the frozen fruit smooth. One thing you can do to help with this is cut your strawberries up smaller – at least into quarters. Don’t go mad though and cut them too small as you might then loose a lot of the tasty strawberry juices. A sumptuous dessert, sure to amaze anyone – dairy free or not. A crisp, light, and yet chewy meringue, filled with billows of coconut milk cream and crowned with a mass of delicious seasonal fruit. The perfect dessert to wow a crowd. 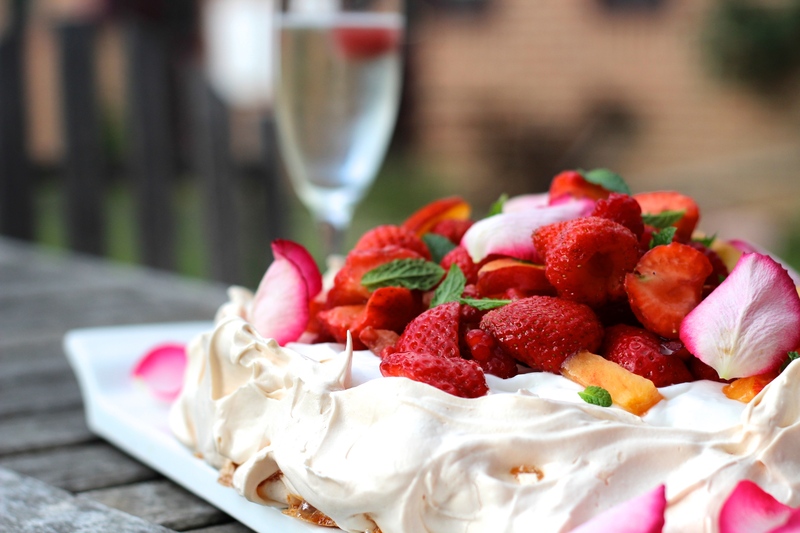 Pavlova brings back a lot of childhood memories for me… warm summer evenings, surrounded by family and friends, everyone full to the brim after a delicious meal. 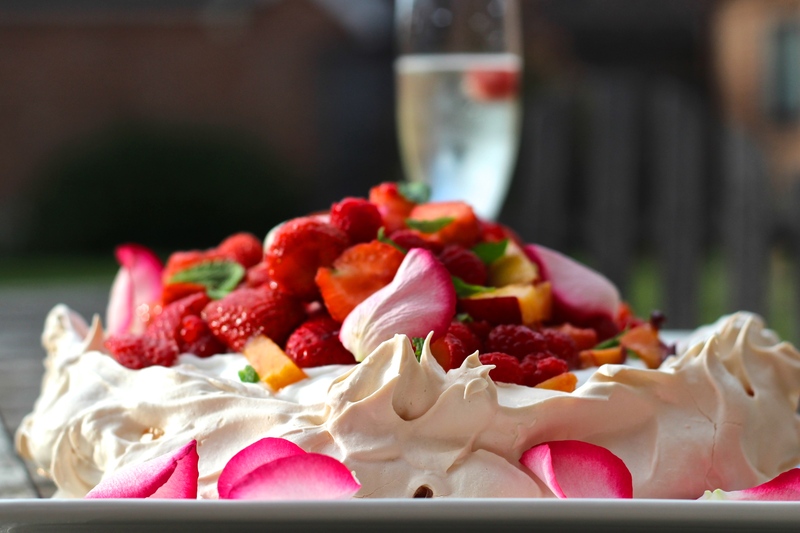 Then, out comes the Pavlova… the crowning centre piece. So light, crisp and sweet, with a pile of pillow-y soft cream, and then a towering mass of sweet fruit. And of course everyone devours it! 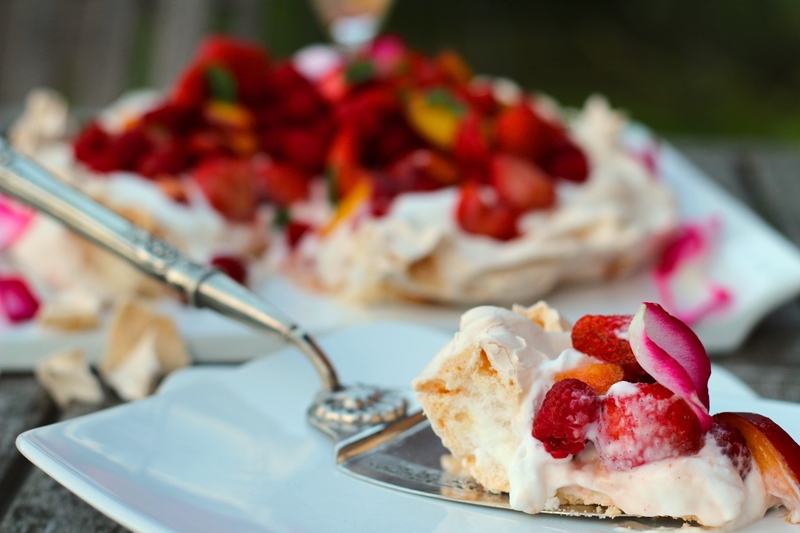 Pavlova is something I’ve really missed – It’s something where cream is a very main and important ingredient, and you can’t hide the flavour. Soya cream doesn’t whip very well (or at least no variety I’ve ever found does! ), and has a discernible soya aftertaste – not great if you’re serving it up to dairy eaters who will definitely think it is below standard. Over the last few months, I’ve been doing a lot of research into dairy free alternatives and time and time again I saw whipped coconut milk as a replacement for whipped cream. Really, I thought? Does that really work? What’s the texture like? I also worried about everything having to go with coconut… as much as I love it, it doesn’t always go with everything in the same way that cream does! However I have to say I am a complete convert! Just by refrigerating the coconut milk, it whips perfectly and the texture and appearance is exactly like whipped cream – soft, billowy mounds of it would make a great side to lots of desserts to replace normal cream – and although the coconut flavour is not overwhelming in the slightest, you could soften the flavour by folding in a few tablespoons of dairy free yoghurt, which also loosens the texture slightly. 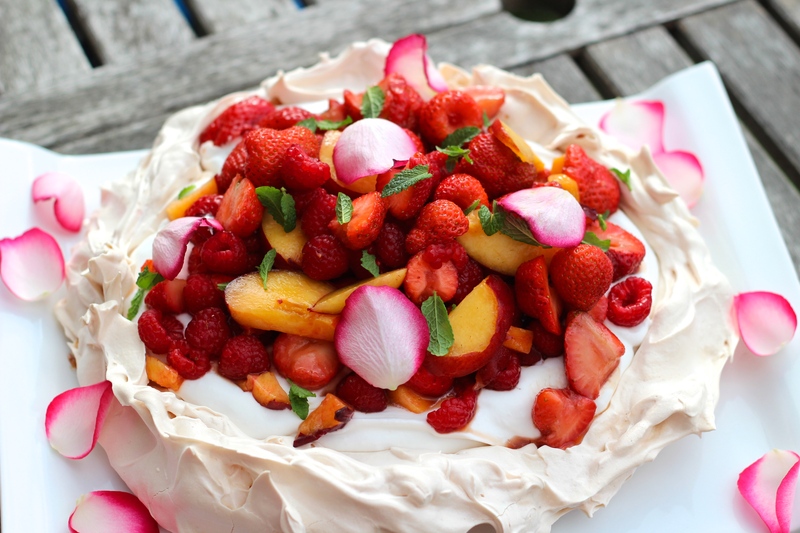 Pavlova is great dessert to have up your sleeve, especially as the end result is spectacular and it really is very easy. You can even make the meringue part a day or two before which is always useful. 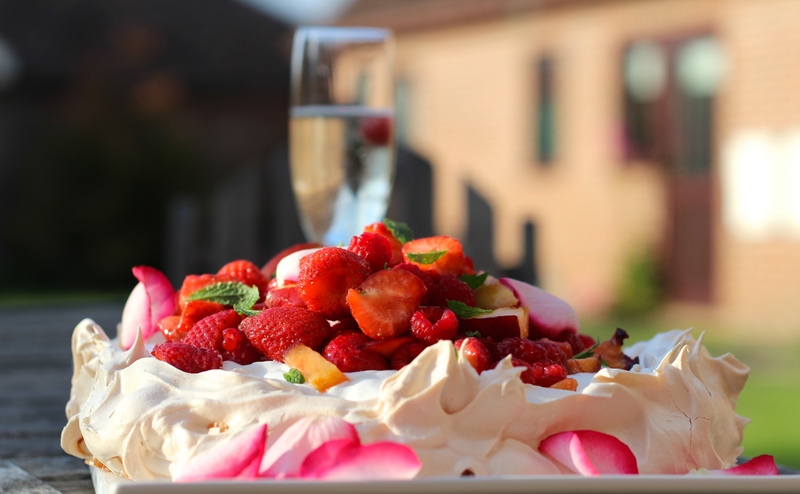 Pavlova is a basic meringue recipe with two key ingredients – white wine vinegar and cornflour. It is the addition of these two ingredients which gives Pavlova it’s famous chewy texture in the middle, which just keeps you coming back for more. 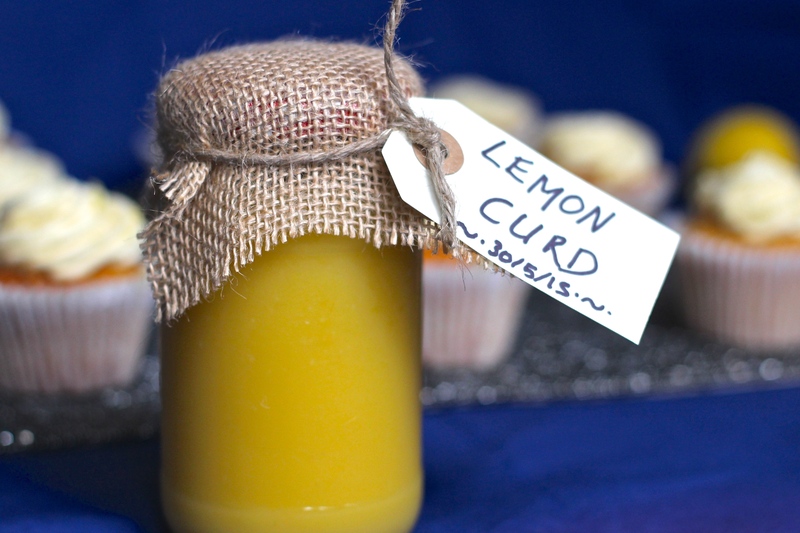 Dairy free lemon curd – a sweet but tart, luscious spread with a punchy lemon hit. Ideal for filling cakes, flavouring buttercream or even just slathering onto ice cream! Lemon curd is just one of those things I never thought I would be able to make. For some reason those mysterious jars of bright yellow, tart goodness just seemed like they would be too complicated to make at home. Not that I understood how it was made, of course – more that it just seemed the kind of thing that only Delia Smith or Mary Berry could pull off. 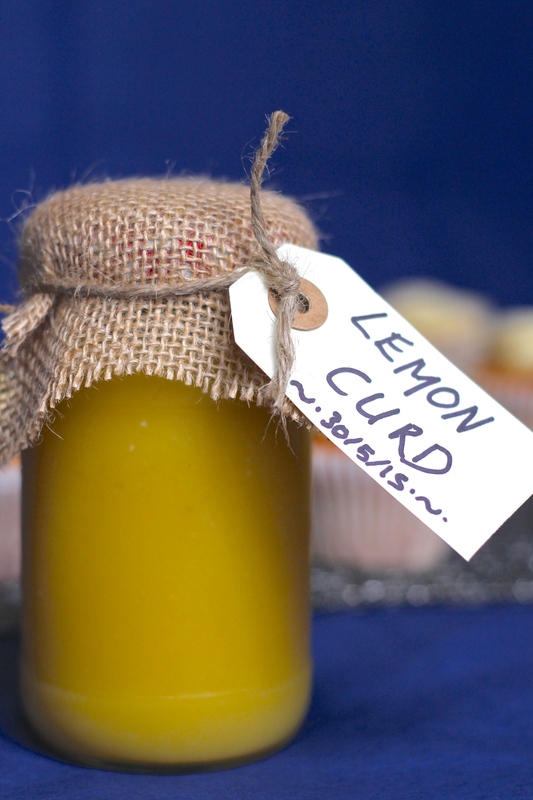 So what is lemon curd? Perhaps for many of my non UK readers this sounds very unfamiliar and strange! Well, I’ll give you the practical description, and then my own description. Lemon curd is essentially eggs, butter, lemon juice and zest. It is slowly cooked over low heat until the eggs cook and thicken, and the curd can coat the back of a spoon. But that sounds so unappealing!! A much better description is this; a luscious, sweet but tart smooth mixture, the consistency of a thick sauce (somewhere between chocolate spread and hoisin sauce – strange description I know, but I think it sums it up well! ), with a really big punchy lemon flavour. 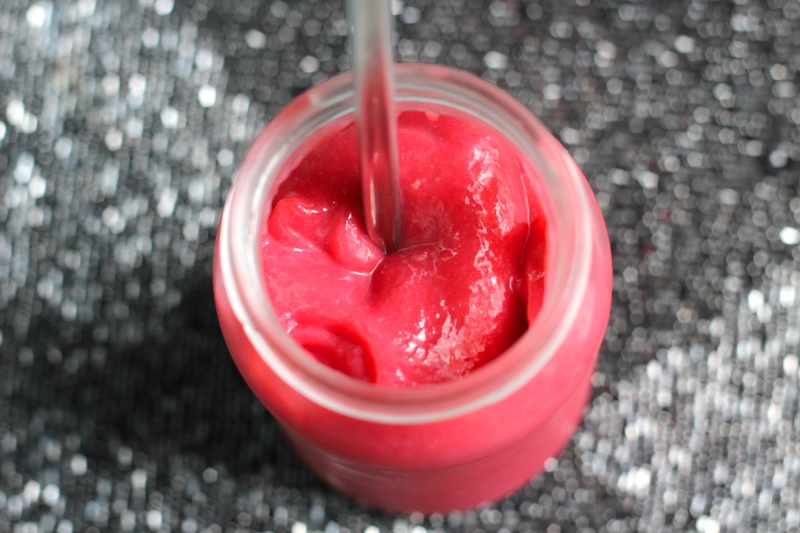 You can make different fruit curds (I love raspberry curd and will do a post on that later this summer!) and it can be used in lots of ways – such as spreading on toast, filling a cake or flavouring buttercream, just to name a few. So, despite my worry about making it, giving up dairy meant I had to find a way to eat lemon curd again… nothing else quite hits the spot like it! And actually when I finally was brave enough to try I realised it wasn’t really that hard. I tried various recipes and liked this Delia Smith one best. Don’t get me wrong – it is definitely a nerve wracking experience the first few times (and if you, like me, end up with scrambled eggs it can really put you off trying again!) but once you get the hang of it and know what to expect, it feels easier and is definitely worth it. 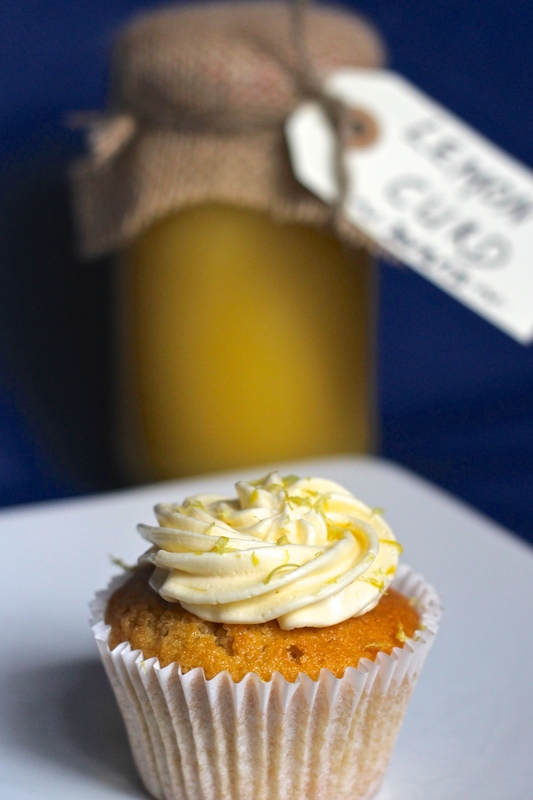 This is my first two part post – so if you weren’t already tempted to give this a try, next week I’ll be posting these Lemon Meringue Cupcakes where the curd is used as a filling and a flavouring for the buttercream. So go on, be brave and give it a try!! 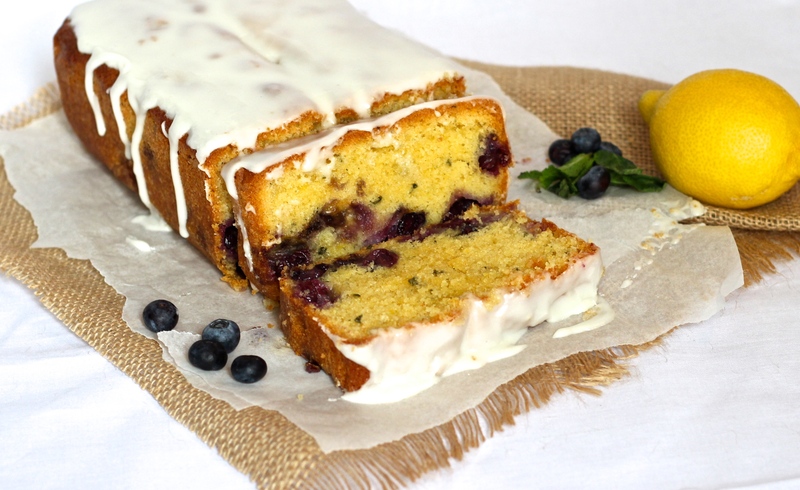 Perfect for spring; a light and zesty cake with a hint of fresh mint and bursting with blueberries, drizzled with a lemon and mint icing. Last weekend the weather was lovely: spring sunshine, warm days and with it came the first BBQ of the year! To celebrate it only made sense to make a cake as bright as the weather outside. This cake is a really lovely take on a traditional pound cake where the same weight of butter, sugar, eggs and flour are used for the sponge. This is my favourite type of recipe for a cake as it always reliably gives a light texture with a buttery and cake-y flavour. Terrible description of pound cake flavour (cake-y, of course it will be cake-y) but you’ll know what I mean if you’ve ever had a great pound cake. What I love about this recipe is that it just sings ‘Spring is Here!’. 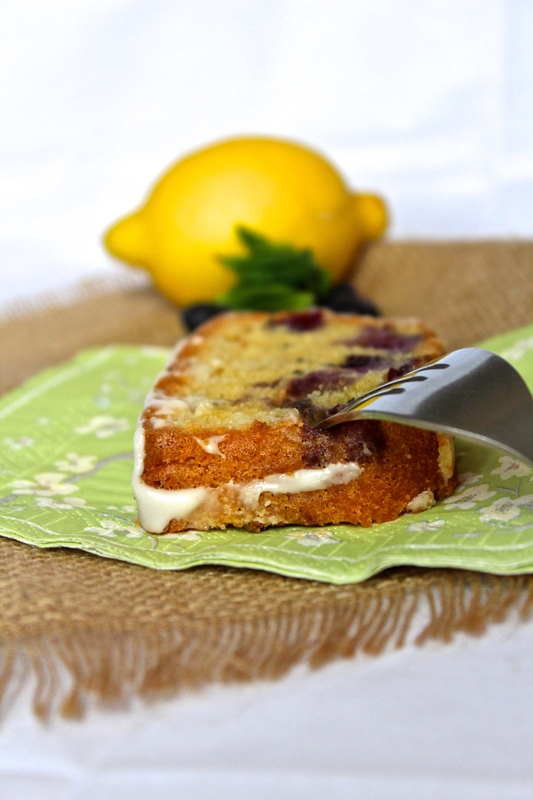 With a big hit of lemon zest and a hint of mint, the cake is refreshing and not too sweet. I always find lemon compliments food with a light texture, and that’s no different here. 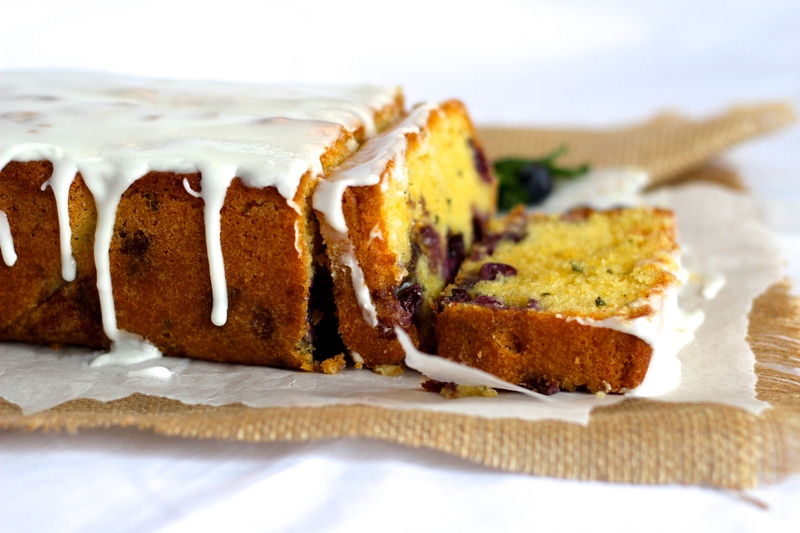 The blueberries really help keep the cake moist, and are a juicy fruity hit when you find them. You could, of course, change the blueberries for any other berries which are in season. The cake in the picture was made with 4 eggs, which, with hindsight, was too big a cake to successfully have the blueberries suspended throughout – as you can see, almost all of my blueberries sunk to the bottom! Because the cake was so thick, it took too long to set whilst cooking and so the weighty blueberries went down, down, down, down…. When I did it again with only 3 eggs (as per the recipe below) the blueberries stayed beautifully spread throughout the cake. So a word of caution if you plan to make the cake any bigger! 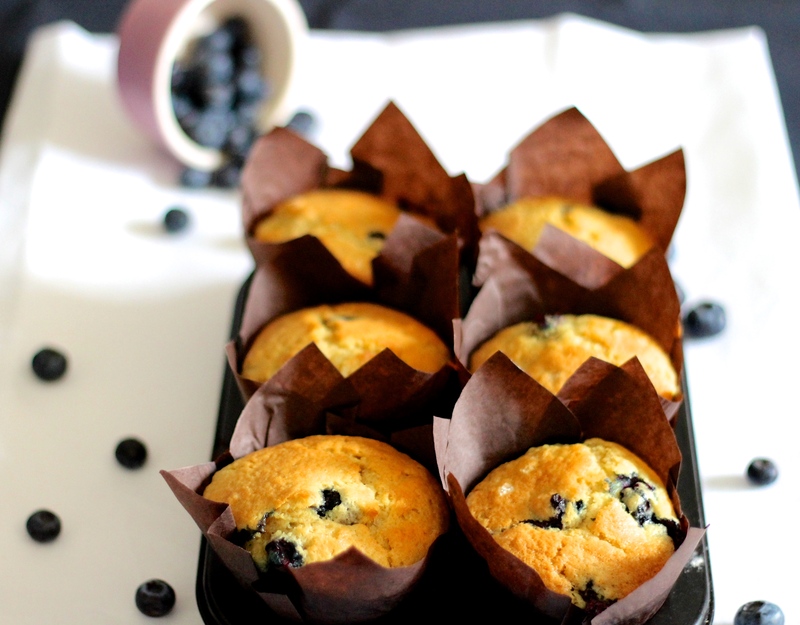 Coffee shop style blueberry muffins; extra-large and packed with blueberries. A not-so-naughty treat for any time in the day… including breakfast! This weekend I really fancied a simple bake, and although this does require the use of two bowls (which for some of my friends precludes this from being called simple!) it really is very straightforward and hard to go wrong. These muffins, without fail, come out light, slightly chewy, and bursting with blueberries every time. Now is the beginning of the blueberry season in the UK; perhaps a little early to see a lot of British blueberries in the shops, but keep an eye out as they will be there very soon. 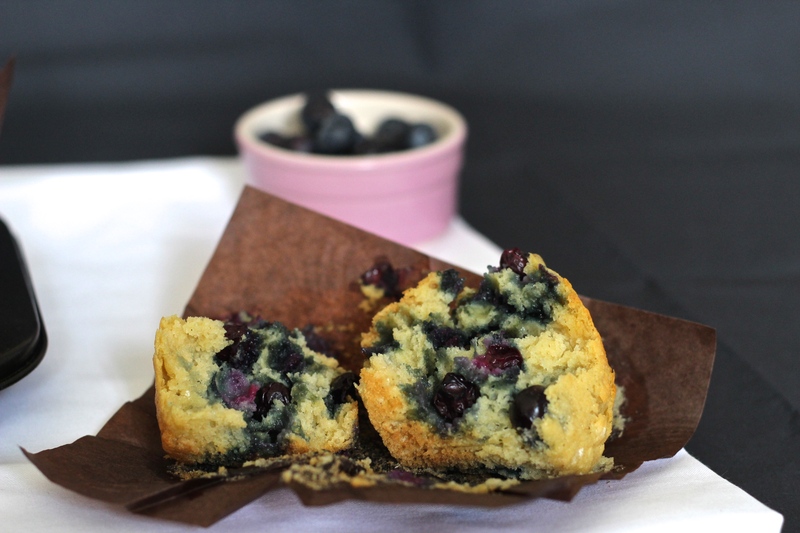 Maybe it’s just me, but I find fruit and veg are always best bought and eaten when in season, and the blueberries here were packed with flavour – something you need in a good blueberry muffin! 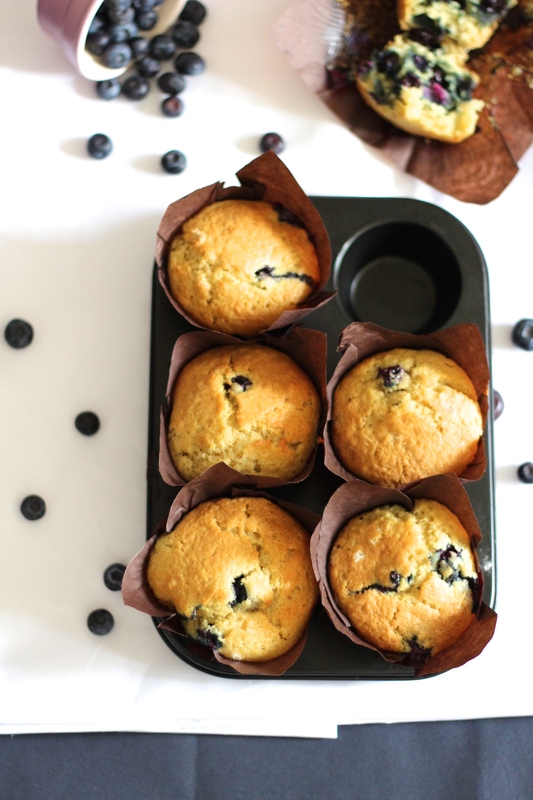 Another great thing about these muffins is you probably already have all the ingredients, bar the blueberries, at home. So there are no excuses when you want to whip up a quick batch of these – which is a dangerous thing to realise! I would not advocate eating these for breakfast (although of course for “research purposes” I did!) but they did make a nice treat. My favourite time to eat them was as a not-so-naughty elevenses treat, with a strong black coffee on the side; Just like you would in your favourite coffee shop.